Welcome to our studio! Here are some guidelines to ensure your yoga & MELT experience is a safe and welcoming one. Avoid eating anything heavy 2 hours before class. Plan to arrive 10-15 minutes ahead of your class so that you have time to sign in, get set up and get centered before class. Wear comfortable clothing and remove your shoes before entering the studio practice space. Your first yoga class is free, but please register ahead of time. Be mindful of personal hygiene. No excessive perfume or deodorant please. We have mats and props for your use. Turn off all electronics before class. If you have an injury or any existing health condition, it's imperative that you communicate with your teacher so that proper modifications can be given. 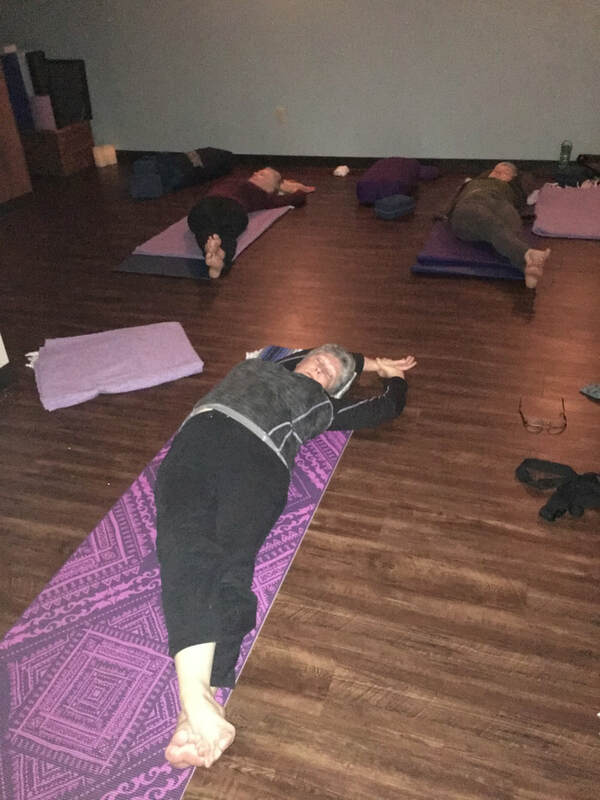 If you absolutely need to leave before class is finished, especially in Savasana, inform your instructor before the start of class. Leave as quietly as you can, respecting those who have worked hard to get to this period of silence. When class is finished, clean up your immediate area and neatly return props to where you found them.